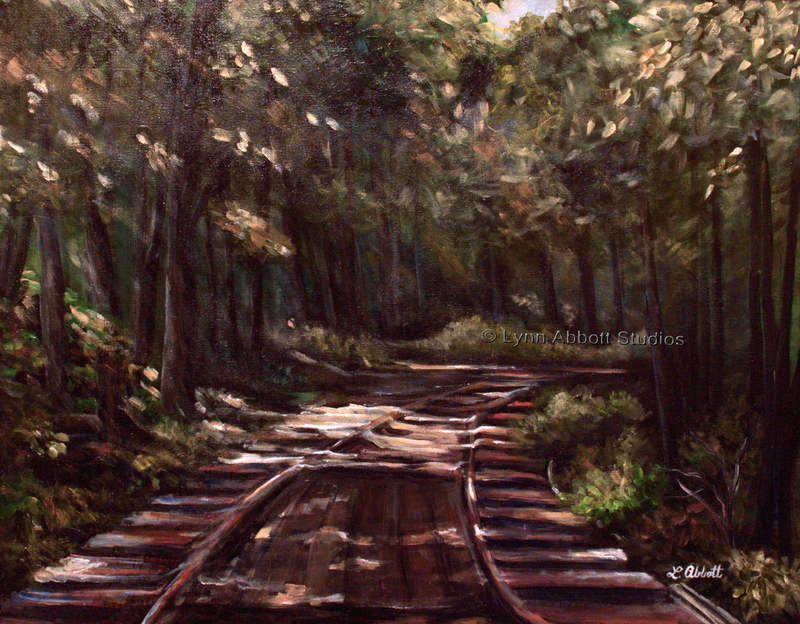 “Into the Shadows,” © 2013 Lynn Abbott Studios. Used with Permission. With a belch of steam and a squeal of track, life’s train sometimes hurdles into the shadows. I lean forward, peering into the growing darkness, anticipating a tunnel or even a sudden drop. I fear a train wreck. And taking my cues from the old westerns, I long to jump from the caboose and roll like tumble weed to safety. As a child, I watched a tad too many John Wayne movies. Unfortunately, unlike the heroes of the Wild West, I never seem to ride my horse into the sunset. For whatever reason, I didn’t get that script and I generally have to face another day riding the rail. Uh, huh. We’ve all been there. We fall out of the saddle. Of course, the tipping point varies from person to person. But most of us eventually face more than we can handle on our own. For me, one such shadowy journey began two days before Thanksgiving in 2012. But I reached my breaking point on a late afternoon the following June. I watched in silent agony as my mom suffered through her final, painful hours. As her body slowly succumbed to metastasized ovarian, lung and breast cancer, I whispered, “I love you, Mom” again and again. She breathed …and then, no more. One by one over a period of several years, I had watched beloved family members suffer and die: my grandparents, my dad, my firstborn, and my uncle. Eventually, we all face more than we can handle on our own. In addition, starting a new business during the economic downturn of 2007 had left our personal finances in peril. After several major and concurrent geographical moves I had little by way of a local support system. And I felt lost; I begged Abba to heal Mom. Yet, she died despite my desperate pleas. It could not be. But it was. And while that’s an encouraging thought, it isn’t quite accurate. After all, God can and often does give us more than we can manage. But He never gives us more than He can handle. It’s a truth made especially clear in the book of Job. Talk about having a bad day… In one 24-hour period, Job lost everything: his crops, children, financial security, and health. At that point, Job had a choice. In fact, it’s the same choice we all face when life’s train hurdles into dark places. Job could abandon his faith or cling more tightly to his Savior. He could bitterly blame God or run to his sovereign Savior. When I think about it, much–if not all–of life boils down to this: do I follow God or do I strike out on my own? Hard times simply define the choice more clearly. When I think about it, much of life boils down to this: do I follow God or do I strike out on my own? Thus, in the midst of heartache, like Job, I must choose between depending on my own good works or upon God’s grace. And while both options allow for authentic expression of heartache, each finds root in a completely different view of the person and nature of God. On the one hand, Job’s friends presented a religion of works that defined God as a being that delights in meting out punishment in Karma-like fashion. However, this view of God contrasts greatly with the reality of Abraham’s God, Jehovah Jireh–the God who not only sees but also provides (Genesis 22:14). Jehovah Jireh, the all-sufficient, all-knowing and all-powerful God of Grace. Unfortunately, Job got entangled in his friends’ works-based argument. He fell prey to the temptation to self-justify. Rather than running to His heavenly Father, Job engaged in futile debate. Instead of depending upon God’s grace, he leaned on his own understanding. For this reason, he stumbled. His pride got the better of him and he bitterly defended himself. I get that, too. Yet, God waits for His child to run into His arms in dependency and trust. When I first read the book of Job, I found God’s answer difficult to understand. At the close of the book, God simply reminded Job that God is God. After all that Job had been through, it seemed to me that there had to be something more that God could say. Yet, I now believe that in order to fully understand Job’s life, you and I need to compare it to Christ’s. Christ also faced the temptation to justify himself. Satan suggested that Christ throw himself down from the temple. By throwing Himself from the temple, Christ might prove Himself to be the Messiah. He would silence His critics, the tempter inferred. In order to fully understand Job’s life, you and I need to compare it to Christ’s. However, Christ knew that if he succumbed to this temptation, he would be acting independently of God, the Father. In fact, had Christ thrown Himself from the temple, He would have been guilty of both self-promotion and self-justification. But unlike Job, Christ would not challenge God’s plan. Instead, He turned to His Father in authentic dependency and trust. In fact, Christ’s response to deepest sorrow, dread, pain, and suffering in Gethsemane demonstrated both honesty and trust. Suffering drove Him to Abba, (Matthew 26:39). Instead of self-justification, instead of self-promotion in the face of misunderstanding and false accusations, Christ remained silent. He waited for His Father to lift Him. He humbly obeyed His Father through suffering. In losing our “lives”–our pride, our self-sufficiency, our self-justification and our self-direction–we gain so much more. When loss threatens me, I find life in Christ. And Abba longs for His children. Thus, while Satan tries to use suffering to distance humanity from God, God runs to embrace His beloved. At the end of the book of suffering, God justified Job. 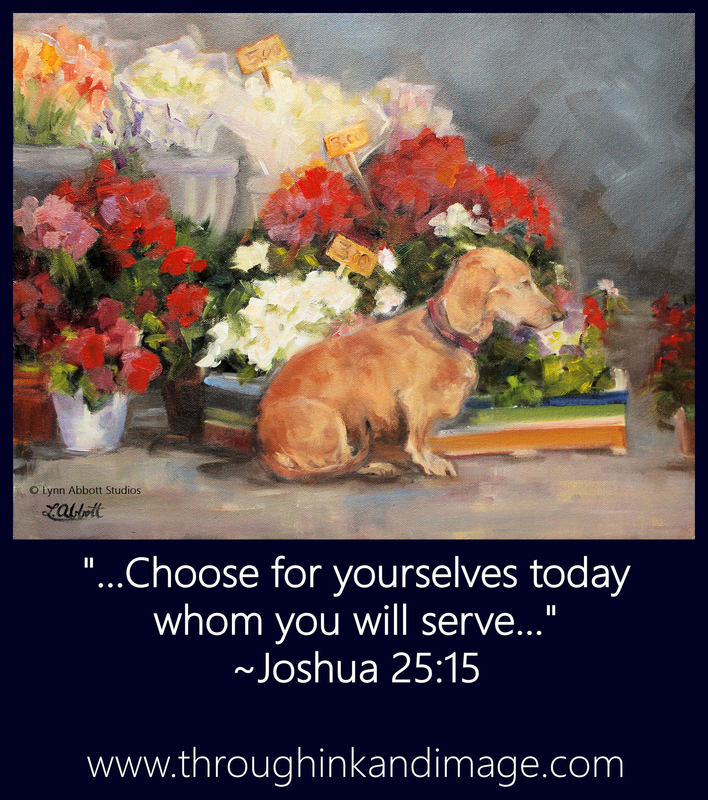 God rejected the often skewed theology of Job’s friends; yet, through Job, simultaneously offered mercy (Job 42:10). Indeed, when God spoke, Job not only fully understood God’s power and sovereignty, but Job also experienced God’s incredible grace. Scripture also notes that when Job prayed on behalf of his friends, God restored Job’s life (Job 42:10). With the restoration of his grace-filled perspective, Job experienced greater blessing than he had ever known. Job’s experience, then, teaches me that because I am deeply loved, God intends my life circumstances–even the shadows–to drive me closer to Him. In losing our “lives”–our pride, our self-sufficiency, our self-justification and our self-direction–we gain so much more. That’s right. Abba’s heart is always for His children (Romans 8:31). He longs to draw us near. Thus, when life hurdles us headlong, His grace breaks through the shadows. And with Job, we then can say, “My ears had heard of you but now my eyes have seen you…” (Job 42:5). In my weakness, I learn–over and over again–that He is strong. Thank you for re-posting this, Larry! I am truly grateful and honored! God bless you big time! Wonderful words and amazing painting. You do an outstanding job finding light in an otherwise shaded scene. The painting is perfect for the words. We went through a similar situation in our life when we thought we’d never see the light again, but as you say, we are weak, but he is strong! Ok, I’m confessing—it’s early, I awoke not feeling 100%–I started reading…I immediately felt the hot tears forming…the union of the connection to and with you as I have been there—three times now–two in recent months—so I had to quit reading. He hearts goes out to you Lynn and I’m praying that God will continue to heal and restore everything you’ve lost. This piece is powerful and excellently written. God’s love, grace and mercy are things I find truly difficult to explain because of their depth. I’m forever grateful that when life hits us, He shows Himself strong. He is God in the valley just as He is in the hill. Blessings to you my friend. Oh, you are truly kind, dear Lia! I hear your heart in your words. Yes, God is truly good. And please know that I completely agree with you that God gave my mom the ultimate healing. She is dancing before Him now. As for me, in the ten years following her death, He has truly carried me. As I note in the post, there is nothing that He cannot handle; when we are weak, He is ready and waiting for us to run to Him…and that close walk with Him is everything! Love and hugs! Yes… and the words mean so much to me. The lyrics bring tears to my eyes every time I listen since I am so thankful for the outcome of suffering: becoming more like Christ. God bless you, my wonderful sister! The part about “there is nothing that HE cannot handle” is what stood out to me in your entire post. I have found that SO true throughout my life, and daily as I face new challenges. Thanks to everyone who responded here, too. Your comments have been SO encouraging! That’s good. I love the way you combine profession with gospel . Can we meet? So encouraging. Love that He doesn’t allow more than HE can handle, not ‘we’. Thanks so much for sharing. Thank you for your thoughtful encouragement! It really means a lot to me! God bless you greatly! He definitely is a strong tower for us when we’re weak. Amen!! God bless you greatly, Diana!! Thank you and may He continue to bless and guide you as you go about His work. “But He never gives us more than HE can handle.”…thank you for declaring this truth. And thank you for personal and insightful Biblical sharing, it’s a real encouragement. The artwork is so inspiring it speaks on its own. “God never gives us more then HE can handle” Wow, do we ever need to remember that. Not in my strength, but in His. I love the song “In Christ Alone”. It is in Him that I gain the strength to go through any battle, any test. You explored that in an excellent way here. Love God’s answer to Job! He set Him straight on a lot of things. It would be good for us to read that whenever we think we are in too deep. Thanks for the great uplifting post. “In Christ Alone” is a beautiful song of faith…a kind of anthem for us, isn’t it? Thank you for reminding me of that song. I’ll be humming it for the rest of the day, I’m sure. A beautiful meditation it is. Thank you so much for your kind words. This was a difficult lesson for me as I walked it 10 years ago…and even now, learning to trust God’s loving sovereignty is an ongoing lesson for me… but yes, so thankful that it isn’t up to me… God is more than able. 🙂 Thank you for your encouragement, Pete. I was concerned that the post might be too heavy… and I longed so for the joy and comfort of intimacy with God to be the central focus. I wasn’t sure the post achieved that when I hit the “publish” button. Thus, your words here are particularly meaningful to me! God used you to encourage me greatly today! God bless you big time, Pete! Thank you with all my heart, dear Meredith! I worried about posting this one as grief is such a painful and difficult subject for so many. Thank you for encouraging me. It means the world to me! ❤ and hugs! I always wonder why that is, complaining coming so easily. Especially when we know that if we don’t God is quick to resolve an issue we are having. Thank you for your kind word about me Lynn. :):) But if there is anything good you see in me, that is proof of God. You are truly a godly and wonderful friend, Margaret! I’m so glad I met you here online! ❤ and hugs! Lynn, thank you so much for sharing this. Sorry to hear about the pain you went/still going through. Going by what you wrote, I’m sure you have felt the loving arms of God wrapped around you as you’ve walked through. I will certainly be praying for you. The good thing about God is that He is good. His love, mercy and grace are things we cannot fully define with words because they beat our imagination. I thank God for showing Himself strong to you through this process. I’m so sorry for the pain and emptiness you still feel at the loss of your mom, Lynn. It’s so hard to see them suffer, isn’t it? Though we sorely miss them, I’m grateful both our moms are above all pain and suffering and are rejoicing forever with Jesus. I’ll never forget some of the last words my mom whispered to us, “I love you. I love you. I love you.” I love this truth – “But He never gives us more than He can handle.” He doesn’t even want us to handle anything on our own, but He wants us to lean into Him and depend on His strength and grace, right? God has often given me hope through Job’s story. Many times I have ached and cried with him, “Though He slay me, yet will I trust in Him!” Thank you for all this encouragement. Oh, what would we do without Jesus and His faithful love for us? It’s so true what you say that the more we lose of ourselves, the more we gain. Your painting reminds me to stay on the train and trust our Engineer. 🙂 Love and hugs to you! Oh, Lynn! This is such a good reminder for those of us that have lost many dearly loved family members. I am so sorry for your losses. Hugs! I love the phrase “God never gives us more than He can handle.” Such insight, wisdom and provocative thought. Blessings to you, my sweet friend!! Lynn, thank you so very much for your very encouraging words! I have had such a hard time after my fall getting re-motivated (I think the break, instead of helping, actually exacerbated the problem, and of course, my brilliant fall didn’t help, either!). You are so very welcome. It is so very hard to lose those we love. I’m thankful you have the comfort of knowing you’ll see your mom (and others) in heaven! Oh, sweetie, you are such a beautiful and understanding friend. I treasure your friendship so much! I pray God blesses you beyond all you can imagine, too!!! Robbye, you and your friendship are one of the very great blessings that God has brought into my life through blogging!! And I thank Him (and you!) so very much for that gift! You are truly a kindred spirit! ❤ and huge hugs!! Thank you, Lynn! I feel the same about you!! I thank Him (and you) for such a special gift for me!! Huge hugs to you, too, sweet friend!! “Thus, in the midst of heartache, like Job, I must choose between depending on my own good works or upon God’s grace. Thank you, thank you with all my heart for re-blogging my post! It means the world to me! I’m truly honored. God bless you greatly as you have blessed me!! Lynn, I just want to say here that you inspire me by the love you have for people and the gift you have for knowing just the right words to say to everyone, too. You are so gentle and so kind and loving in every response. You are a great example. 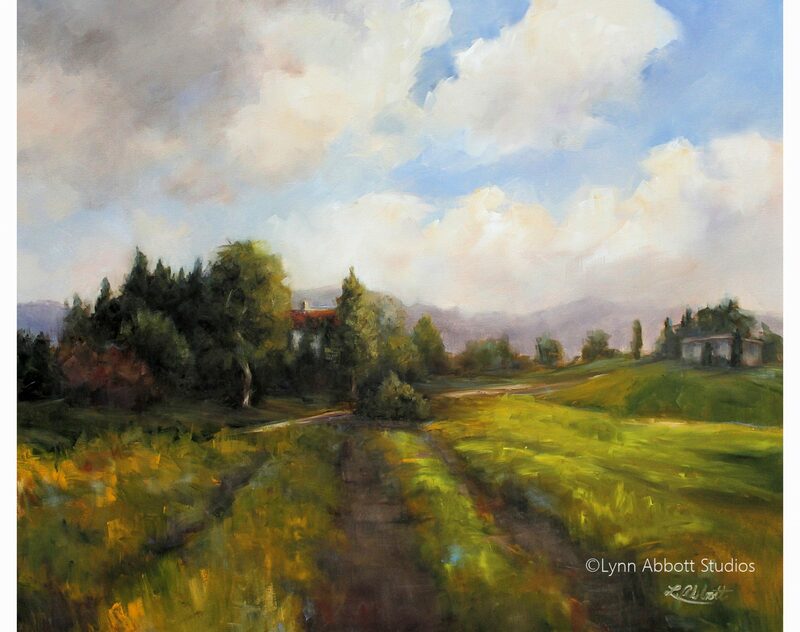 Hi Lynn, beautiful painting, I can’t even begin to imagine how one would go about painting something like that. I think I’m still in the paint by number category. With regard to the written lesson, I hear you. Sorrow is part of life that is often times hard to explain, especially when there is suffering involved. I’ve experienced a lot of grace in my life so I have a tendency to focus on the grace versus any losses I’ve gone through. I don’t thoroughly understand it all, that is for sure but I think you hit the nail on the head with the “But He never gives us more than He can handle” statement. We have to turn to Him, we have no other real choice, not as Christians, and it is what it is. It’s hard, real hard but I can’t help but think that there is a purpose behind it all, much greater than ourselves, much greater than what we now see, which ultimately is in the hands of our Creator, as God in His wisdom, has deemed it to be. And to and for those who believe, there is always restoration, ultimately, beyond what we comprehend and see here. Difficult subject, beautiful overview, thank you. Grace and blessings! Oh, thank you so much, Bruce! I can always count on you to leave a thoughtful and wise response to my posts. Your kind words are always such an encouragement to me. I’m truly with you about God’s grace. I thank God for His love and grace continually. I was my mother’s caregiver. And as I walked through my mother’s death just 8 months after I completed chemo, I wasn’t sure how I would handle it. Since, during the first portion of my treatment, my husband was 400 miles away starting up our new business, Mom had cared for me all the way through my chemo despite the fact that she had begun to feel ill. Two weeks after I completed chemo, she finally agreed to see a doctor. One day before Thanksgiving, we found out that she had three forms of cancer and that she had months to live. But you know, I didn’t ask why. I did, however, ask God to spare me from the grief… (“Let this cup pass from me…”) by healing Mom. Yet, I also knew that I didn’t wish for Mom to suffer. Although I experienced tremendous grief when she passed (I had always been extremely close to my parents), I also (as you say) experienced God’s tremendous Grace. I ran to Him in complete dependence… And in fact, that’s what it was all about for me personally. For Mom, it was her graduation 🙂 For me, her death ultimately served as the catalyst for even greater closeness to my Heavenly Father. Have you ever read Sheldon Van Auken’s book A Severe Mercy? If not, I think you’d enjoy it. Van Auken and his wife were friends of C.S.Lewis. Van Auken essentially suggests that sometimes great heartache rescues us from ourselves, and essentially catapults us toward God. (My words not his, but nevertheless, his basic theme). My hope in writing this post and sharing my story was that anyone who had suffered great heartache would know that in my heartbreak, I had discovered that I could completely trust God to carry me. Hi Lynn, there’s nothing that you have said that I don’t agree with. Unfortunately I haven’t read “A Severe Mercy” but I also agree with the basic theme you indicated. I see your words of encouragement on so many other blogs and I always smile, you’re just like Johnny Appleseed, but with encouragement! Some of life’s lessons get through to us more than others, cancer, loss of loved ones, nearing the end of our days etc. I wish I could say I always had the understanding I have gained now but that would not be true and even yet, I often times write a lot better than I deal with realities. I can’t change what is past, I can only understand my own limitations and move forward in what I have learned, follow the principle of love and trust in God. Easier said than done but that only serves to show us how different we are from Him. I find it so sad that only as I come near to the end of my days, in essence I’m only just beginning to understand. Nabeel was a biggie for me, not sure why other than He was all that I ever wanted to be and yet my walk falls so short of his. We are all part of the body of Christ, He is the body, we are the part, individual yet collectively together. I don’t care any more what part I am, just as long as I am a part. You’re the smiley face, I’m the hangnail. He loves us both, that boggles my mind. Keep doing what you doing! I’ve written before about a number of years ago God brought me into His presence for a couple of minutes. Haven’t a clue why, sheer grace and how important that glimpse was and is to me now. I DO KNOW THIS, God’s love for us defies explanation, words cannot express, totally unreal in the essence of comprehension. It’s a reality expressed in the wonder of His Son’s obedience and walk of righteousness unto death that He gives life to us who believe in His Son. Figure that puppy out! May God richly bless you and yours Lynn, I’m sure you make God smile. This Blog deals so honestly with the brutality of life and how we should react, it also made a good contrast between Job’s and Jesus’ reaction to suffering. Very inspiring.Thank you for sharing, especially your tragic loss of such loved ones so close to you. I pray God would pour down his sweetest Holy Spirit to comfort you to meet the challenge, just as you wrote, “After all, God can and often does give us more than we can manage. I pray that you would receive the unlimited comfort, strength and peace, even joy of God’s Spirit, not as a cliche but tangibly, as Jesus said, for God gives the Spirit without limit. Lynn, (I hope that’s the right spelling) in case you were wondering that Scripture is found in John 3:34 and it was John speaking or writing. I think I’m missing something here, Chris… will check my spam folder to see if this comment refers to one that WordPress incorrectly misdirected. All the best to you, my new friend. Great post Lynn! My wife and I just read through Job completely this month. Job can be a hard book to understand because as people, we want answers and have a need to explain away the pain of life. God’s answer to Job doesn’t make sense, unless you understand His Lordship. His ways are higher and we will not always understand why things happen, and that is okay. But, when we come to an understanding that God is Lord of Lords and King of Kings and is sovereign over all things, we can lay our fears and anxieties at His feet and trust He will get us through. Amen! You express it so perfectly. Thank you. God bless you big time! So true! Your inspiring words reminded me of times when I was physically ill, trying to keep the grief and heartache from overwhelming me, and knowing that my Father was the only One who could help me continue on – one moment at a time, using the strength He gave me…and He never fails us when we cry out to Him!!! Thank you for this post, Lynn. Thank you so very much, David! God bless you big time! “In losing our lives… we gain so much more.” How beautiful is God’s grace. The thing I learn from the end of Job is that when Job asks for answers God gives him the unexpected—Himself. We get Him. Beautiful post, Lynn. You always do such a good job of teaching and exhorting. Thanks for sharing. Thank you so much, William! That truly means so much to me. I pray so much over these posts since I know that to “teach” is to take on a very significant responsibility. And so, I always press “publish” with a little trepidation. 😉 But God is good…He directs and so far, I continue to follow those directions. 🙂 I pray I always will! God bless you greatly, my talented friend! Thank you and may the Lord keep you “in His embrace”. Never quite certain why God created us and the world the way He did, but it seems we are here to learn, and what we suffer is part of the lesson. Still, Jesus cried for us. He knows the lessons are not easy. Thank you for sharing what you have learned. I have read Job several times and studied it with others. Still found much to learn here. Yes. So grateful for our great High Priest who understands our humanity! And thank you, thank you, Tom, for your kind words! That you should learn anything from my post means a great deal to me since I admire and respect you. You are a true student and researcher as well as a gifted teacher/writer. Blessings to you and yours! Wow. This so beautifully written. Thank you with all my heart, Lea! I’m so glad the post resonated with you! It was a tough period in my life, but God taught me so much about Him… and how to trust Him more! God bless you, my wonderful sis’…you are truly a blessing to me and so many others! Beautifully written!!! I haven’t read Job in a while, but this reminds me of the many powerful lessons it teaches. You do a great job explaining the message and bring out points I hadn’t thought of. All of it so very important and true. Thank you with all my heart! Your thoughtful and encouraging words mean a great deal to me. I prayed so over this post, and I’m so grateful that it resonated with you! God bless you big time as you have truly blessed me today! Agreed that all of us eventually walk through the valley……..I was broken and on my knees with almost losing my son to alcohol poisoning. It broke me………but in my brokenness, I heard GOD say: “you need to release him into MY care. Don’t you know I can take better care of him than you can? !” I realized then that I wasn’t trusting GOD and I needed to “let go.” And from that point I had no worry anymore for my son. Happy ending now: he is getting ready to graduate from Culinary school this year. Thank you LORD for your sweet care of him and for turning his heart towards YOU as well! 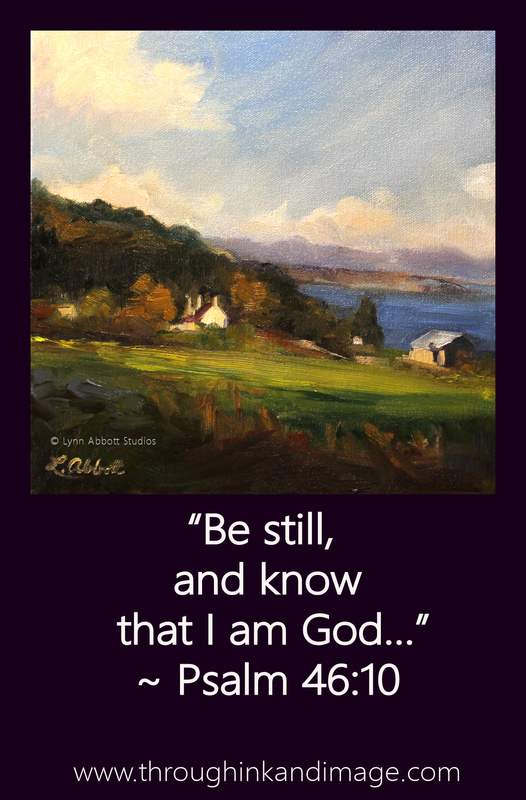 Thank you for this post Lynn…..in all of our brokenness, GOD comes near and HE restores! Wow! 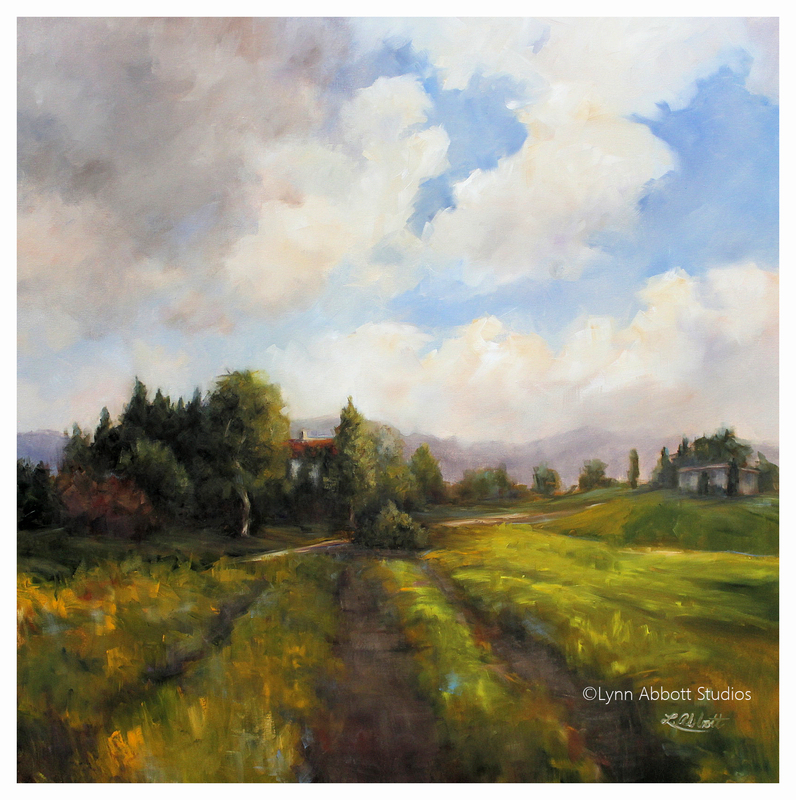 First, the picture is one of my favorites you’ve painted, Lynn…but the post…amazing! Thank you for the raw, honest, openness and the depth of the Scriptures to follow! It helps the head to know our loved ones are walking streets of gold in heaven, but it’s so hard when our heart still has to walk on cobble stoned roads here. Great post, my friend!!! Lynn, Once again your post has moved me to tears and encouragement all at the same time. Your words are gifts from God to me. They inspire, encourage, and connect with me deeply. You truly have a gift. Thank you for sharing your life’s journey of faith in this space and giving all of us courage to keep pressing closer to Christ. Love the statement, “God will never give us more than HE can handle.” So true! Keep writing and painting! Your words are like a cup of fresh water in a parched land! May the Lord bless you greatly for your service to Him and others in this way. Oh, Amy… your words here are a well of encouragement to me!! Thank you, thank you! I’m so glad if anything I write or paint can encourage in any small way. That means the world to me! You and your friendship are truly a gift and a blessing to me! And your posts always buoy me and my faith. I’m so thankful to have met you here online. God is so good to me…and you are truly a wonderful sister in Him! ❤ and huge hugs! Oh Lynn, I have to say first off I apologize. The night I read this, my computer was extremely slow, and I couldn’t comment. I also accidentally called Tammy, “Lynn,” haha in a comment! I feel your love for Christ in this. I am encouraged by your words as well, and I agree with every single thing you’ve said. We can go through whatever trial and tribulation and God is not phased! He is strong. He will be forever strong. I hope we will be able to meet one day as well. That would be amazingly wonderful! Huge hugs! Thank you Lynne, your words of wisdom from God were just what I needed today. God bless you. Oh, I’m so glad this post resonated with you! Your kind encouragement means the world to me! God bless you greatly! Well said and so ABSOLUTELY ABSOLUTELY true! Keep walking in truth my friend. And thank you for sharing your experiences in the valley of death. If were not walking through one we will be walking through one soon. Your witness to God’s faithfulness to his children is both encouraging and heartwarming in the chill of the valley of death. Thank you. Oh, thank you, Denny! Your thoughtful words are such an encouragement! I’m truly grateful to you. God bless you greatly as you have so greatly blessed me today! this image really looks scary! is there any place as shown in the post images? Hi! Thank you for visiting my blog. I paint all my paintings from real life places. I either paint from a photo I have taken or I paint on site. God bless you!